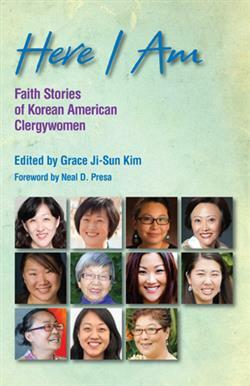 This project is a unique compilation of theological reflections and stories of faith from Korean American women in various forms of ministry in the church. The main goal is to share their stories to provide a window of understanding into the trials of Korean American women in ministrya window that may serve as a mirror for other women who know what it is to be marginalized, overlooked, or prejudged based on their gender, ethnicity, culture, or appearance. The book's uniqueness is found in its various genres of writing—from sermons and theological reflections, to poetry and stories of personal journey—from women of various generations. Readers will be encouraged, inspired, and affirmation for other Asian American women called to Christian ministry. Their stories and voices add clarity, wisdom, and hope, enriching the overall landscape of writings in this field. "All of these stories are compelling and thoughtful, offering rigorous self-reflection that goes beyond the personal story to describe the way ministry is forged in the crucible of a "hybrid" life, a both-and existence in cultures where differences often lead to being demeaned or devalued. These leaders write of tenacious and examined faith rooted in difference, struggle, joy, and call. The accompanying sermons are solid examples of how stories can move proclamation toward Good News and help others reflect on their own stories as sites of God's grace. This book is a must-read in every context and across all the lines that divide us. I can hardly wait to use in it a course. " Rev. Valerie Bridgeman, PhD, Associate Professor of Homiletics & Hebrew Bible, Methodist Theological School in Ohio and Founding President of WomanPreach! Inc.
Grace Ji-Sun Kim, MDiv, PhD, is an ordained minister within the PC(USA) denomination and Associate Professor of Theological Studies at Earlham School of Religion. She is author of ten other books, including The Grace of Sophia: A Korean North American Women's Christology and Theological Reflections on "Gangnam Style": A Racial, Sexual, and Cultural Critique, co-written with Joseph Cheah. Kim serves on several committees of the American Academy of Religion: co-chair of Women of Color Scholarship, Teaching and Activism Group, Research Grants Jury Committee, Comparative Theology Group, and Religion and Migration Group. She also blogs at Huffington Post, Sojourners and TIME.